– Figure out what this Paleo diet is all about – ERRRR… WORKING ON IT! I am not going to pretend that I’m going to turn into a nutritionist over night with this little exercise. As long as I have been a Vegan, I don’t think I have counted a calorie – and in truth, the ‘science’ of the Paleo diet to me is a tad overwhelming. I also admit that I am no Vegan Mother Theresa. While I would say 75-80% of my diet can be found in nature, I would guess that there’s about 20-25% that can be found at the 7-11. It’s not ideal, and certainly not advised, so I look forward to focusing on new, interesting recipes and not as much on bad habits this week. I also look forward to getting away from my faux-meat/faux-dairy ‘crutches’ (Tofurkey, Soy Cheese, Soy Milk…)- as delicious, and often nutritious, as they are… I’m excited to remind myself that the food earth produces in 1-step is just as delicious and probably a lot more nutritious. So my approach this week is to compare and share the ‘lived’ differences between my former Vegan-ish diet and my new Palio-ish diet. In the end I hope I can take the ‘best’ of the Paleo diet philosophy, and integrate it into the ‘best’ of my Vegan lifestyle. I can already begin to see some advantages, but also some things I am really really going to struggle with. 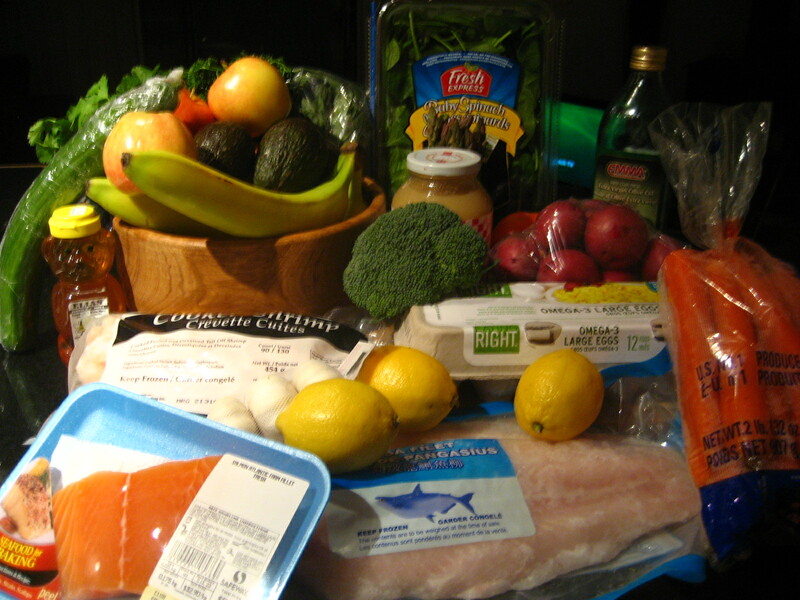 – A focus on fresh, whole fruits and vegetables, oils and nuts/seeds. Food as it’s meant to be. – No dairy. Luckily, this means Paleo is not going to be as much of a struggle as it might be for some. – Limits placed on the veggie and fruit list, as well as some oils, vinegar, salt, and peanuts – something about alkalinity? Who knows. I’ll just follow the recipes. – Exercise is ramping up a bit this week , as I start to integrate cycling into my training schedule (have only been running so far). I will have to be a LOT more prepared with my food, and figure out what the heck someone eats before exercise if it’s not oatmeal or toast (my go-to’s).. This entry was posted in Daughter's Blog Posts, Nutrition, Veganism and tagged Paleo, Paleo Diet. Bookmark the permalink. 8 Responses to Me eat Paleo. Breakfast – Likely going to be an apple, and (gulp) an egg! I don’t think I have cooked an egg in my entire adult life.. but Google is backing me up and it’s going to be an adventure! Dinner – to be determined! Monday’s are days-off exercise… so meals should in theory be a bit lighter.. but this might be a bit too lite…need to figure out how Paleo snacks work. Good directions, I literally shouted ‘Oh! It’s an egg!’ when I pulled it out of the microwave. Fascinating. I am following your blogs with great interest.You are making good food choices in your daily diets,and I wish you good health,and success on your journey to the Ironman competition. Good luck with the new diet Lisa – would love to hear how it’s going for you over the next few weeks. I’ve heard of a few people (including athletes) that have had great success with it. I’m getting back on my bike this week too. Give me a shout if you need a partner. But I’m pretty out of shape so you might have to pull me along!